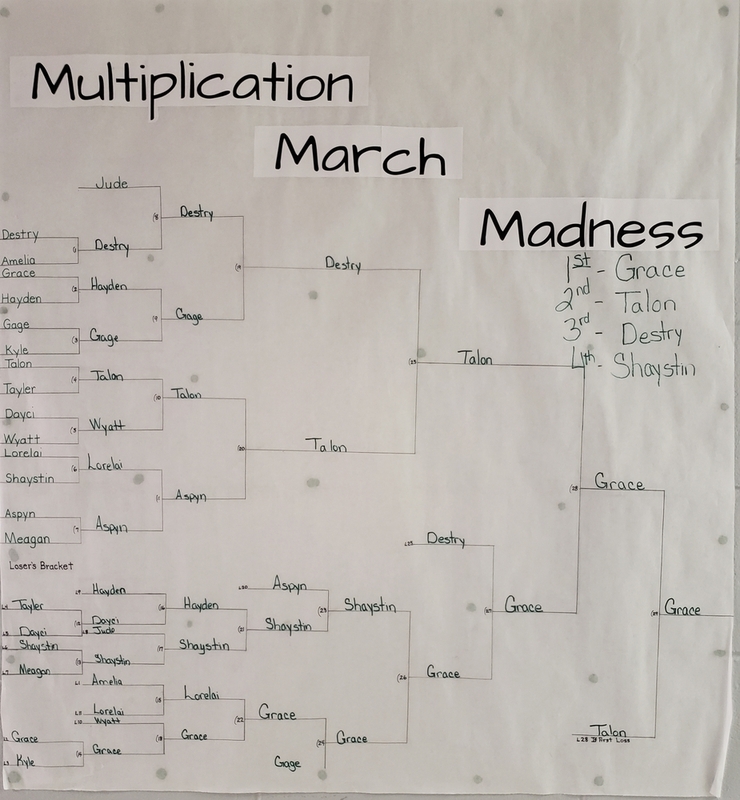 Ms. Fuson's 3rd grade class competed in a Multiplication March Madness Tournament throughout the month of March. There was major improvement in all of the students speed from the beginning to the end. Shaystin also set the class record for completing 100 problems in 1minute and 40 seconds. Congratulations to all of the students and keep up the hard work! !